Ice-O-Matic is dedicated to providing you with ice, pure and simple. 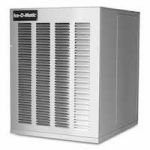 Each of the ice machines, ice dispensers, and ice storage bins that Ice-O-Matic designs incorporates current, efficient technology, but without all of the bells and whistles that would complicate the equipment and drive up the cost of the units. For over 50 years, Ice-O-Matic ice machines have been innovative while remaining true to their simple philosophy of quality, easy-to-operate reliability. Every piece of Ice-O-Matic ice-making equipment produces the best, cleanest, most pure ice that it can, so that you can count on your investment for many years to come. Ice-O-Matic ICEU150FA 24.54" Air Cooled Undercounter Full Cube Ice Machine - 185 lb. Ice-O-Matic ICEU150FW 24.54" Water Cooled Undercounter Full Cube Ice Machine - 180 lb. Ice-O-Matic ICEU220FA 24.54" Air Cooled Undercounter Full Cube Ice Machine - 238 lb. 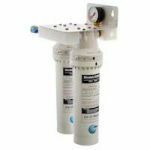 Ice-O-Matic ICEU220HA 24.54" Air Cooled Undercounter Half Cube Ice Machine - 238 lb. 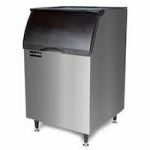 Ice-O-Matic ICEU300FA 30.34" Air Cooled Undercounter Full Cube Ice Machine - 309 lb. Ice-O-Matic ICEU070A 15" Air Cooled Undercounter Gourmet Cube Ice Machine - 84 lb.